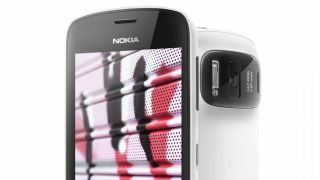 The Nokia 808 Pureview will continue to receive development and support, even though its Symbian platform has been discontinued. Yesterday Nokia announced that it was finally pulling the plug on its home-brewed smartphone platform, as it completes the transition over to Microsoft's Windows Phone system. This obviously causes an issue for anyone still running a Symbian-toting device, as Nokia won't be responding to bug reports or other issues, however there is one exception – the Nokia 808 Pureview. Nokia clarified the 808 Pureview's position following Symbian's maintenance mode relegation, writing on its developer site: "We do have new feature development for Pureview 808 product and we periodically evaluate what updates are needed to attract the end users." This is good news for 808 Pureview owners who will have only purchased the handset this year, as they can now be safe in the knowledge Nokia will be looking after them for a little while yet. There's no word on when Nokia will finally stop providing updates and support for the 808 Pureview, but looking at mobile phone cycles today we can't see it lasting past 2014 - and even that would be a cheeky treat given the apathy the Finnish firm is showing the platform.